In a 150 year old haveli hidden in a busy lane in Jayanagar a designer creates magical weaves that are delicate and exquisite. Latha Puttanna is one of those rare designers who has achieved what most other designers can only dream of. You probably haven’t heard of her that is because she goes out of her way to keep a low profile. She firmly believes that her clothes should speak for themselves. Therefore she has a dream clientele with the who’s who of Bangalore flocking to her for their bridal wear and more. Dr Nirupama Shivrajkumar daughter to Karnataka film industry’s most beloved family could have shopped anywhere in the world for her bridal outfits when she got married. But she chose Latha because she felt she was lucky that she din’t have to look too far from home for someone who could design for her personality. 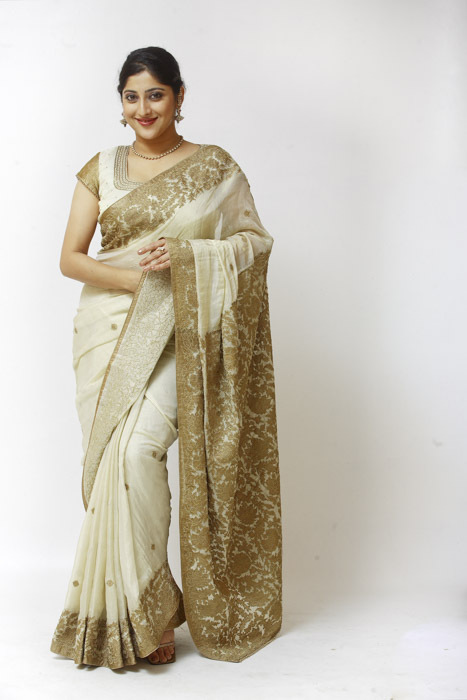 She particularly loved that Latha does not use imported fabrics and weaves her own fabrics with natural dyes. The color’s and designs are timeless and every piece has a story of the bride in it. This is because Latha spends so much time with each bride understanding their likes, dislikes, personalities among other details. In choosing Latha’s clothes she felt that she was selecting a piece of heritage beautifully and lovingly designed for her that no doubt will be passed down to the next generation. Nirupama applauds Latha for her discipline, on time deliveries and one day alterations a trait so rare in designers. She hardly had to worry about her clothes which usually is the biggest stress point for most brides. When I asked her what she bought from Latha, the list was endless. Not only did she shop for the main outfits but also bought a lot of stuff for her overall trousseau. When I spoke to another bride Ameya Shetty daughter of one of the world’s leading heart specialist Dr Devi Shetty about her experience with Latha she only had superlative things to say about this talented designer. Ameya chose to go with Latha for the uniqueness of her designs. 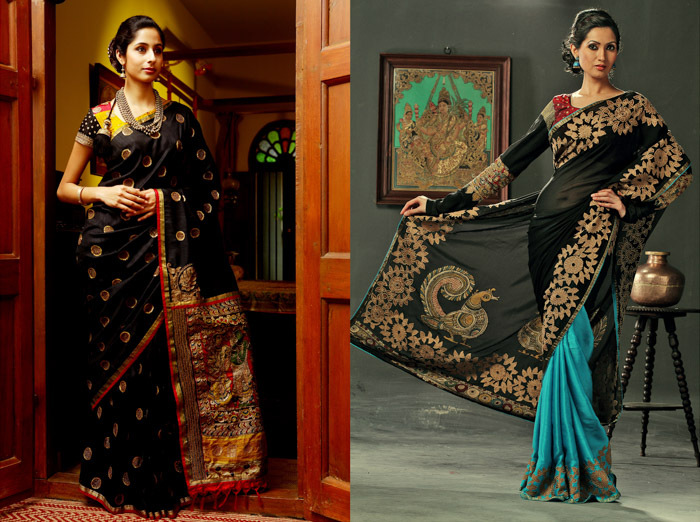 She feels that Latha’s designs cater to all age groups. Therefore Latha was a one stop shop for not only all her bridal needs but also for the whole family. Latha designed clothes for Ameya, her mother, sister-in-law as well as her husband. Common Mistakes and How to Avoid Them!